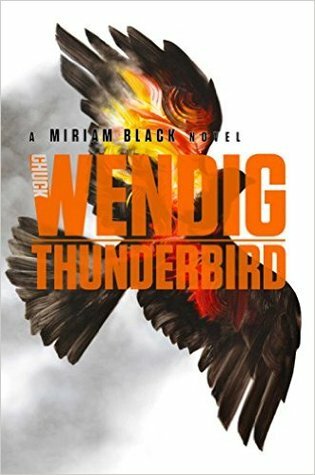 Thunderbird is book four in the Miriam Black series. I've been dying to get my hands on this book for awhile now and I was so happy to see it come out. I've read the other books in this series in the ebook format but I thought I'd try the audiobook for this installment. It was a bit odd switching it up mid series but it wound up working really well once I adjusted. A refresher in case you don't remember or haven't started this series is that Miriam Black is a foul-mouthed lady that can touch someone and see how/when they die. She also recently figured out she can enter the minds of different birds and control them. Her powers are pretty interesting but with all the events that have happened throughout the series, she's tired of it all. So this installment Miriam is seeking a lady named Mary that is rumored to be able to remove her powers. After striking out several times Miriam finally catches up with Mary only to find a group of domestic terrorists that are interested in what she can do. Miriam has to figure out how to stop the group before it's too late while also finding out how to remove her powers. Thunderbird is a bit different from the other books in this series. We've had this foul-mouthed lady throughout the other books that really didn't care about anything or anyone. In this book we see Miriam wanting to change, she's trying to stop smoking, taking up running and trying to remove her powers. It's an interesting change of pace and had me wondering if she's be able to change herself so thoroughly. All in all, this was a solid installment and has me intrigued on where the series will go. If you're a fan of darker type Urban Fantasies you might enjoy this series. Oh yes, you should read one soon!! I like the sound of this book changing pace. 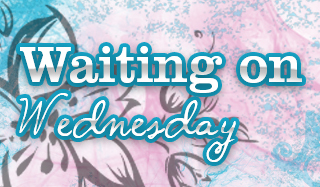 I tend to get bored with series like this because it's the same thing over and over. So I'm totally digging the change of feel in this. Right? It's unique to say the least! But I have a feeling she doesn't lose her powers after all. I really want to try this series. I've never read this author, but I'm following him on Twitter. I really like him and his thoughts on things. I really need to try his work. I'd be interested in seeing your thoughts on the series in audiobooks as a whole. It was a bit jarring to have read the previous ones as ebooks then switch to audio on this one. I wound up enjoying it though! !